Tabby now available at Cydia Store! 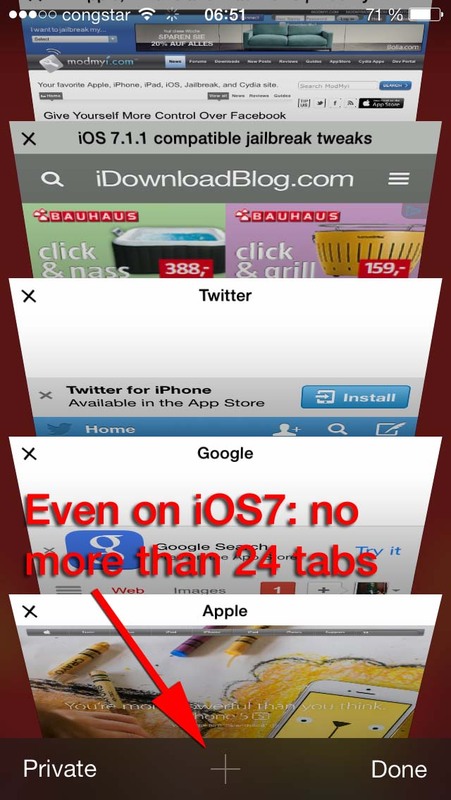 Do you hate Apple for claiming they got unlimited tabs in iOS7 when really tab count is still limited to 24? Do you always have more important tabs open than allowed? Did you lose important tabs because they were simply closed when a popup opened while you reached the tab limit? Here is the solution: Tabby! 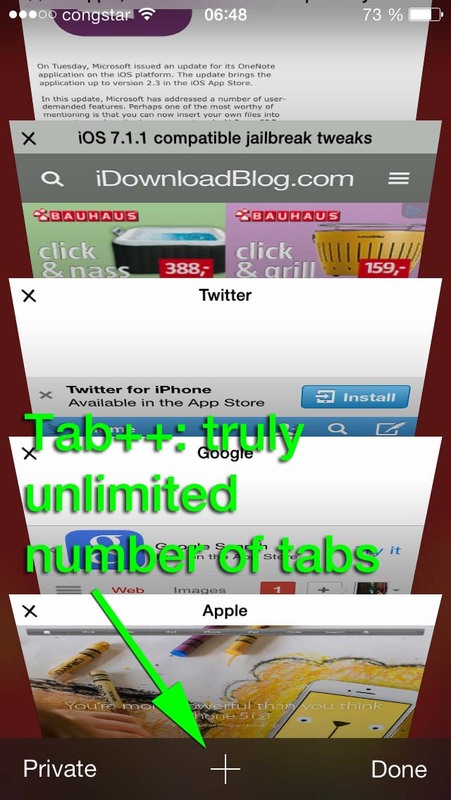 With Tabby you simply get truly unlimited number of tabs in Safari.